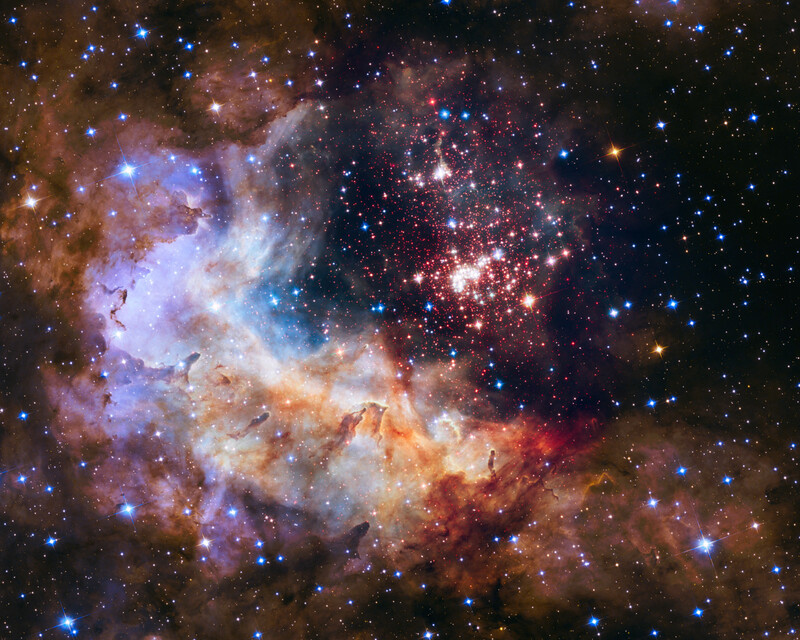 The Speed of Light – Cosmological Speed Limit? In 1638, Italian scientist and philosopher Galileo tried to measure the speed of light (c) using lanterns. Due to the relatively primitive resources available to him, he was only able to conclude that it travelled more than 10 times faster than sound – a completely innovative concept, since, prior to this, light was thought to travel infinitely fast. Then, in 1905, when Albert Einstein published his Theory of Special Relativity, physics was revolutionised. Einstein stated that light, which exhibited both wavelike and particle-like characteristics was, in fact, a duality of the two – hence the name a wave-particle duality. He built upon the notion that light was propagated by a basic unit, or quanta (hence the name quantum mechanics), called a photon, a massless particle that travelled at c, or 299 792 458 m/s. His theory of Special Relativity also stated objects that have mass could approach, but never reach this speed of light due to time dilation, where objects that travel at significant fractions of the speed of light perceive time as though it is slowing down as they approach c. This also led to the acceptance of The Theory of Causality, which showed that an effect must happen after its cause. Causality was based upon the idea that nothing could travel faster than the speed of light, because, otherwise, an effect could occur before its cause, meaning that all events in the universe would occur simultaneously. However, in nuclear reactors, photons are being slowed down due to interference with other particles. This leads to an interesting phenomenon, namely Cherenkov Radiation, where massive electrons travel faster than light, leading to a blue glow. Moreover, Special Relativity shows that massive particles cannot travel exactly at c, however, it does not state that the particles cannot travel faster than c, which led to speculation surrounding tachyons, or faster than light particles. However, tachyons are yet to be observed. Interestingly, physicists have theorised about a device, called an Alcubierre drive, which would allow mankind to travel faster than light. It essentially moves and bends the very fabric of spacetime around itself, and arrives at a destination before a photon would have. The Alcubierre drive respects Einstein’s Special Relativity. Unfortunately, it uses as of yet currently unobserved “exotic” matter, with a negative mass, so it is currently an unviable means of exploring the stars. Ultimately, the speed of light is yet to be broken, and thus still serves as the cosmological speed limit. However, there is nothing in the modern laws of physics that states that the speed of light cannot be broken. Without further investigation, we may never know if the theories and laws that describe the cosmos are complete- or if we are missing the most important piece of the metaphorical puzzle of physics. Posted in Technology, Uncategorized and tagged #speedoflight, light, physics, science, Technology. Bookmark the permalink.